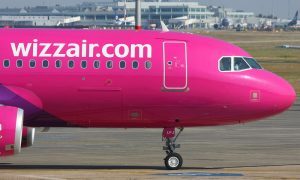 Wizz Air today announced it will add a fifth Airbus A320 aircraft to its Cluj-Napoca fleet from 22nd July 2016. 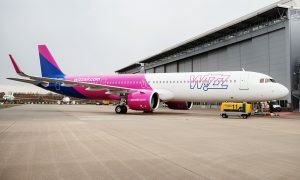 The new aircraft will operate four new routes from Cluj-Napoca to Alicante, Berlin Schoenefeld, Billund and Doncaster Sheffield, and increase the frequencies on some of Wizz Air most popular routes from one of Romania’s largest cities, including the London Luton service that will be operated with three daily flights. 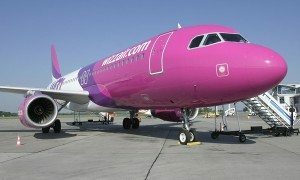 Wizz Air has seen a 20 percent increase in traffic on Romanian routes in the first nine months of 2015 compared with the first nine months of 2014, while at Cluj-Napoca the traffic increased by 42 percent during the same period. Since beginning operations nine years ago, WIZZ has carried 21 million passengers from Romanian airports. Berlin, the capital of Germany and a world city of culture, politics, media and science, is a new destination in Wizz Air’s network of 113 airports. With the four newest routes and the recently announced flights to Munich Memmingen, Wizz Air now offers a total of 27 routes from Cluj-Napoca.